Members of Englewood UMC stage a live re-enactment of the Last Supper, part of the Easter story. Home page photo shows Nate Bellmore as Jesus, flanked by Bill Pugh as John and Vic Berger as Thomas. Photos by Caroline McCoy. Suddenly the women encounter two men (angels maybe) and they are terrified. Their impulse is to bow to the ground. Fear is a common thread that runs throughout the gospel accounts of the resurrection; the Greek word is phobos, from which we get our word "phobia." Something profound is happening. In a time of radical change, everything shifts, we are appropriately fearful, and yet we are most open, in the transition, to insight. God has our attention…Matthew’s report of the resurrection describes it as an earthquake…God has our attention; it’s a wakeup call, and not simply because there is a sunrise. We are awakened from all that had come before and this has everything to do with Good Friday. We had been living, or sleepwalking through a Good Friday world, and there is an interruption, a reversal. Our response, in the language of scripture, is fear of the Lord. The stranger goes on: “Why do you seek the living among the dead?” Don’t you remember when he taught you in Galilee? Let us pause for a moment and note the presence of women in this gospel, at the resurrection, in the ministry of Jesus. Luke is careful with the details. Why? Because this is the word of God, this is promise and fulfillment. Luke gives us the names of the women: Mary Magdalene; Joanna; Mary, the mother of James. Earlier in his gospel (8:2), we learn that the 12 disciples are with Jesus, along with women who had been the recipients of his healing ministry; there they are also named: Mary Magdalene, Joanna, Susanna, and many others. It is essential to note that women were in the inner circle of Jesus’ disciples from the very beginning, they were present as Jesus taught the disciples, they were engaged in every important act of his ministry, they were present at his crucifixion, they followed his body as it was taken to the tomb, and they are with him on the first Easter. A fascinating aside: In this time and place, women were not deemed trustworthy to testify in court. 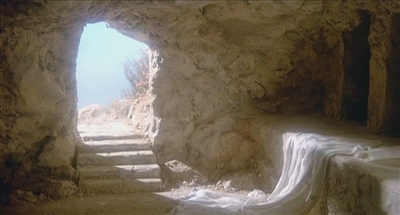 More than one scholar has noted that it would be hard to imagine why a writer would have women discovering the empty tomb, unless it was based in historical reality. Because they had been with him all along, the women remembered. It helps that Jesus, in the gospel of Luke, is a master teacher. It is helpful to connect Easter with two of Jesus’ very best known teachings, two parables, the Good Samaritan and the Prodigal Son. In the first story a man is beaten, a Samaritan shows compassion and he is healed. In the second story, a child is lost, and in returning home he is embraced by the parent; the child is restored. These parables prepare us for an even more crucial story. A good man, a righteous man, is executed. He is dead and buried. But when they go to care for him, he is not there; he has been raised from the dead. At the heart of these teachings lies a contradiction; something happens that we do not quite expect. For the women, on the first Easter, it was a puzzle, and it remains so for many of us to this day. To see a re-enactment of Good Friday in the streets of Tampa by First UMC, Lutz, click here. We see the continuity of the cross through the entire life and ministry of Jesus. We see the arms of the cross reaching down to heal the wounded man walking from Jerusalem to Jericho. Are we providing the care, or are we being made well? We feel the arms of the cross embracing the rebellious child. Are those our arms? Or are those arms enfolding us? What do these stories---the Good Samaritan, the Prodigal Son, and the Resurrection--- have in common? They enlarge our worlds, they expand our minds, and they extend our reach into the lives of others. They reject our tendency to flatten the world and our experience of it: The man, walking from Jerusalem to Jericho, is beaten, wounded, left for dead. The religious people pass by on the other side. Death is a part of life. The son, far from home, squanders his birthright, defaces his identity. That child is lost, dead to us. A world is at war, continually it seems, one atrocity, one retaliation leading to another. The hungry cry out for bread, but didn’t someone say you would always have the poor with you? Along comes a prophet who contradicts all of this, who dreams the dream of God: A Samaritan bandages a wounded man—how unlikely? A parent embraces a rebellious child—how undignified? A discredited rabbi hangs on a cross—how scandalous? Where is all of this going? Embedded in these stories is a power, a power to heal, to reconcile, to roll away the stone, to bring life out of death. The master teacher kept hinting at all of this, but our hearts could not absorb it, our minds could not imagine it. Yes, he told us about all of this, now that we think about it! Now we remember! And so they go to share this good news with others, because you cannot keep a good story to yourself! ….They go first to the authority figures, the apostles. Do you think the apostles, all men, will believe the witnesses, all women? No? You would be right. It could be male chauvinism, or insider arrogance, but it could also be that they do not believe because it has not yet been their experience. Paul, writing to some of the very first followers of Jesus, asked, “How can you say that there is no resurrection from the dead?” If Christ has not been raised, our preaching is in vain, and your faith is in vain…we are not telling the truth about God or reality or ourselves. I am aware that there are persons beyond the church and within it, for whom the resurrection is a problem. It is not within your belief or experience. Loren Eiseley, a renowned naturalist, once spent time in a seaside town and, plagued by insomnia, he would spend the very early morning hours walking the beach. Each morning at sunrise he would observe townspeople combing the sand for starfish that had washed ashore during the night, to kill them for commercial purposes. For Loren Eiseley, this was a sign, if a small sign, of the way the world often says “no” to God’s gift of life. But one morning Eiseley got up unusually early and discovered a solitary figure on the beach. This man, too, was gathering starfish, but each time he would pick one up he would throw it out as far as he could into the breaking surf, back into the nurturing ocean from which it came. As days went by, Eiseley found this man embarked on his mission of mercy each morning, seven days a week, no matter the weather. Is there a star thrower at work in the universe? Is there a God who contradicts death? That, brothers and sisters, is the Easter question. What do you think? Is there a God who contradicts death? 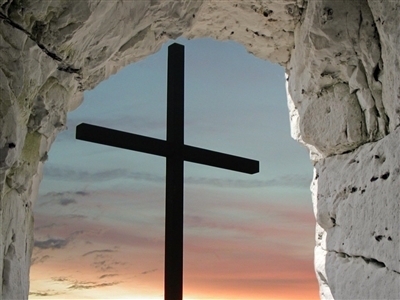 The Easter question: Is there a God who contradicts death? Resurrection is stronger than crucifixion. And so at Easter, Christians across the planet celebrate, remember, bear witness to this experience, the resurrection of Jesus. It is a contradiction and, like the apostles in the beginning, there are many within and outside the church who do not believe it. Through baptism we die to self and we are raised into a new life. Through communion we eat the meal and become for the world the body of Christ, redeemed by his blood. Through service we participate in the great mission of mercy, reclaiming a starfish here and a starfish there. We are the star throwers. And we believe, with all our hearts and with all our minds, that there is, at the heart of the universe, a God who contradicts death. 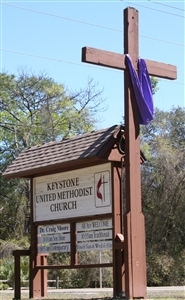 My prayer for you, the people of The United Methodist Church in the Florida Conference, is that you will know the presence and power of the One who is risen from the dead, and indeed is alive and among us, even Jesus Christ our Lord.